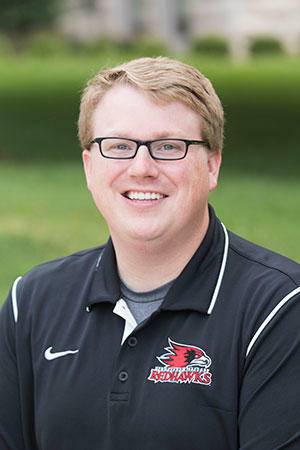 Today on Going Public, we talk with George Gasser, who's been named the new director of alumni services at Southeast Missouri State University. He'll be taking over for Jay Wolz, who announced his retirement at the beginning of the semester. Gasser currently serves as an assistant director of admissions for recruitment at Southeast. On today's episode of Going Public, we sit down with AJ Hendershott, the educational regional supervisor for the Missouri Department of Conservation, about concerns with chronic wasting disease, also known as CWD. The disease, which is fatal to deer, has been found in white-tailed deer in 11 Missouri counties. Baby boxinettes have been introduced in our listening area to promote safe sleep and reduce infant mortality. For “Going Public,” Southeast Missouri State University’s director of Health Communication and KRCU's “To Your Health” host Brooke Hildebrand Clubbs sat down with Dr. Alan Barnette, a neonatologist at Saint Francis Medical Center, and Morgan Nesselrodt, project coordinator for the "First Birthday" Project, to discuss why the boxinette program was developed and where it is headed. The Center for Speech and Hearing at Southeast Missouri State University was recently awarded a grant that provides training and resources to enable the center to provide services to patients suffering from Parkinson's. The program is called "Speak Out!" and Dan Woods spoke with Amy Herren, Clinic Coordinator with Southeast's Center for Speech and Hearing. The program is offered at no cost, thanks to the grant.